Fortunately for Judy Takács Pendergast, her son, David Pendergast, CAS ’17, was in the family car when he received an email. “Hey,” he said aloud nonchalantly, “I’m supposed to be getting an award.” Then a sophomore majoring in computer science and mathematics, David was being honored with the Phi Beta Kappa Prize, an award honoring sophomores with the best academic record in a liberal arts and sciences curriculum. “Had he not been in our car when he got the email, I may not have known about it!” jokes Judy. While attending the University’s awards ceremony that Spring, Judy noticed two things. First, many of the department-based prizes given out that day were established to honor and memorialize someone, and second, there was no prize awarded for mathematics. As the daughter of a former Case Institute of Technology (CIT) mathematics professor, this realization was startling, and planted the seeds of how to celebrate her father’s legacy at CWRU. 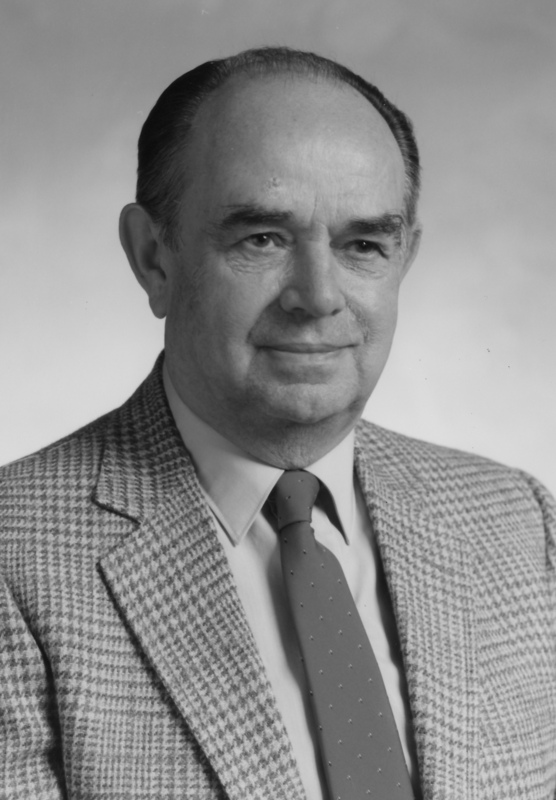 During his extensive, 70-year career, Judy’s father, Prof. Lajos Takács authored over 250 mathematical publications, including five books on Stochastic Processes, Queueing Theory and Probability. In 1959 he came to the United States from his native Hungary to become assistant professor of mathematical statistics at Columbia University. In 1966, he joined the faculty of CIT as a full professor. Nearly three decades of important research followed, resulting in over 100 papers and a book, Theory of Random Fluctuations, still in MS form today. Upon his retirement in 1990, Prof. Takács was awarded the distinction of Professor Emeritus of Statistics and Probability at CWRU. 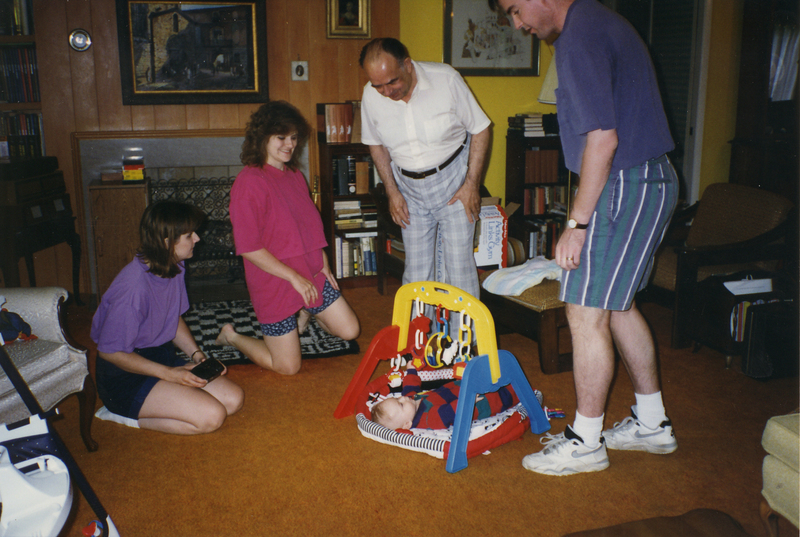 The Takács and Pendergast families with baby David and Lajos Takács in 1995. Professor Takács passed away in 2015 at the age of 91. It was then that Judy, along with her husband, Scott Pendergast, MD, WRC ‘86, and her sister, Susan Takács, WRC ’86, decided to establish the Lajos F. Takács, Ph.D. Endowment Fund to support an undergraduate student merit prize award in the Department of Mathematics, Applied Mathematics and Statistics in the University’s College of Arts and Sciences, with a $30,000 gift. As a visual artist, with a ‘86 BFA from the Cleveland Institute of Art, and with a son who majored in computer science and mathematics, Judy used to say that the math “gene” in her family skipped a generation. 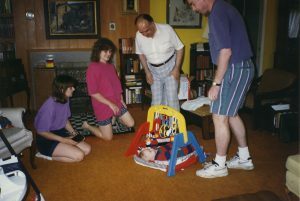 However, as she has reflected on her father’s career, she sees a stronger connection between her work as an artist and his mathematical passions. “He was especially drawn to the elegance of math,” says Judy, an interest that sustained his continued work in the field well into retirement. The first recipient of the Lajos F. Takács, Ph.D. Memorial Prize will be awarded in Spring 2018. Would you like to learn about the possibilities for endowing a gift to the University, ensuring a lasting impact on campus? Contact a development officer by reaching out to | 216-368-0097 | collegesupport@case.edu (this email is checked daily).